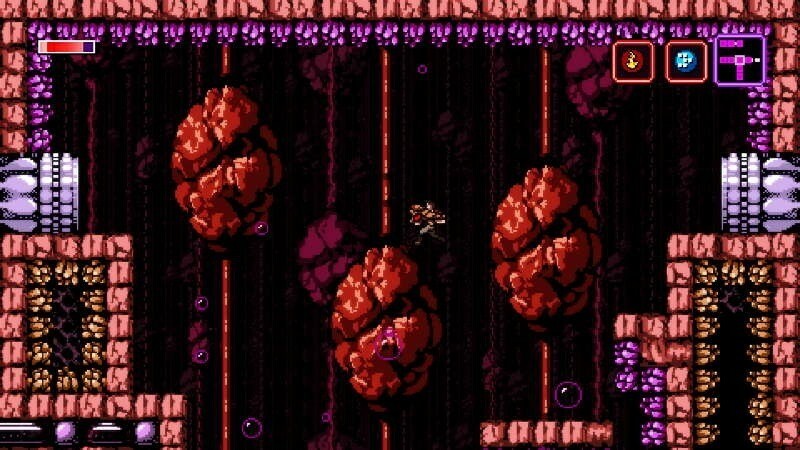 Axiom Verge is a game you may not have heard of – and that’s a pity. For the moment, it’s exclusive to PlayStation Platforms, but it’s coming to PC soon enough. What it is a retro-throwback to old-school games made in the Metroidvania mould; games influenced by Super Metroid and the later, Koji Igarashi-produced Castlevania games like Symphony of the Night. It’ll have you exploring a labyrinth, locating new items and equipment to progress beyond otherwise impassible obstacles. I realize even as I look back fondly on NES classics that they can be tough to love in this day and age. 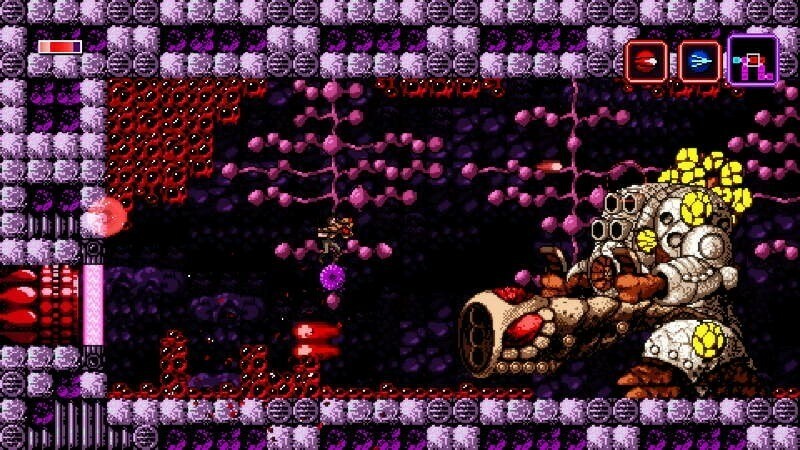 Axiom Verge brings up-to-date sensibility to its design, using dated graphics not for superficial style but rather as an essential connection to its emphasis on glitching and code corruption. It captures the look and spirit of the 8-bit greats, but more importantly it rekindles their pioneering spirit as well rather than simply retreading the ground where those greats planted their flags so long ago. 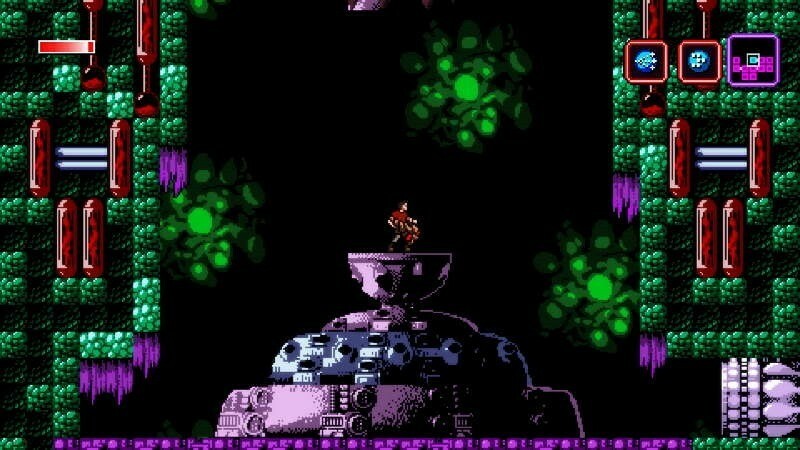 It employs familiar visuals to evoke a bygone sense of newness — and more than being an impressive parlor trick, it makes Axiom Verge simply one of the best games I’ve played in years. I’m not sure that I’ll actually go back and collect 100% of the items and seek out alternate endings, but that first playthrough is absolutely killer. I found myself scouring edges of the map in search of secrets and really had a fantastic time doing it. It looks great, controls really well, and has a level of difficulty that makes things challenging without making them overtly frustrating. If you’ve ever been into this sort of action-adventure game, Axiom Verge is positively terrific. 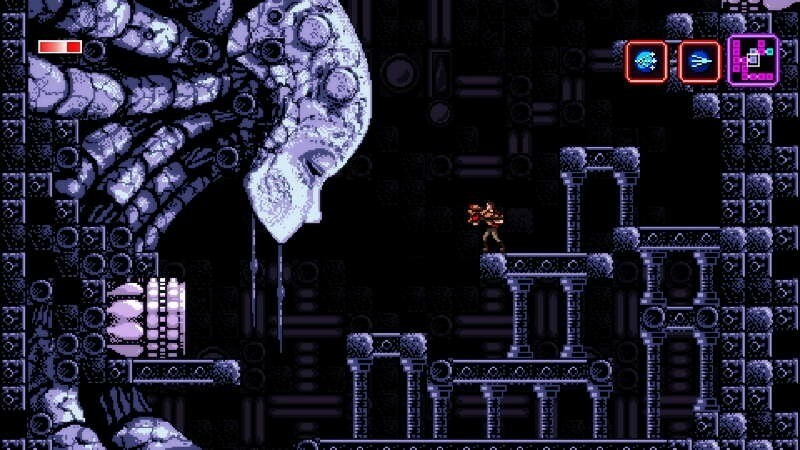 Axiom Verge is a game that’s easy to fall in love with because it hits so many high notes. It takes the Metroidvania model and adds layers of ingenuity that are in a league all of their own, the most notable being the Address Disruptor. Yes it’s occasionally drab looking, and some enemies may not fit in with the rest of the world, but when a game is this good, these blemishes quickly fade into the back of your mind. The chilling sci-fi setting, mysterious plot, and a seemingly endless number of abilities keep your mind busy, and your curiosity at fever pitch. It’s not a stretch to say that Axiom Verge is better than the games that inspired it, because it’s so inventive and thoughtfully crafted. There’s no excuse to hold onto the past when the present is this amazing. It’s just a shame that given the obvious talent and passion involved, it doesn’t really have much of its own to add to the Metroidvania template. As charmed and delighted as I often was with its smartly paced escalation, its perpetually teasing construction, I kept waiting for some new element to appear, a eureka moment that either hadn’t been thought of in 1986, or that could only be done today. It never quite happens. 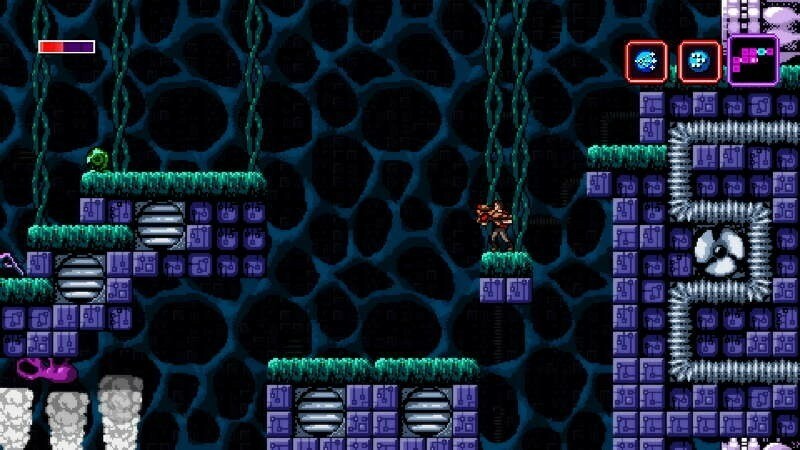 Axiom Verge seems content to be a homage, rather than a revival or reinvention. That’s fine, since there’s already plenty to justify your interest, but it feels like Happ has more to contribute than he’s showing here. It’s out now, and is a measly R259 on the PlayStation store. Buying it nets you the Vita version, which’ll be released later.